Revolution Resources (OTCQX: RVRCF; TSX: RV) has closed its previously announced bought deal public offering, including the full exercise of the over-allotment option granted to the underwriters. The Company issued 16,962,500 units at a price of $0.34 per unit for gross proceeds of $5,767,250 (the “Offering”). Each unit was comprised of one common share and one-half of one transferable share purchase warrant. Each whole share purchase warrant will entitle the holder to acquire one common share of the Company at a price $0.60 for a period of 18 months following the closing of the Offering. Revolution Resources (OTCQX: RVRCF; TSX: RV) has entered into an agreement with a syndicate of underwriters which have agreed to purchase, on a bought deal basis, 14.3 million units at $0.35 per unit for gross proceeds of approximately $5 million. Each unit includes one common share and a half warrant exercisable at $0.60 for 18 months. The Company anticipates using the funds to advance the Universo property in Mexico, the Champion Hills property in North Carolina, the Montana de Oro property in Mexico, and for general working capital purposes. Revolution Resources Corp. (TSX:RV; OTCQX: RVRCF) announced today that the Company is continuing to advance its exploration programs at the Universo and La Bufa Properties. The Properties are located in two of Mexico’s most prolific Mineral Belts and are in close proximity to several operating mines. Recent sampling completed by Revolution confirms the high-grade nature of multiple structures on the Property. No historical drilling has been completed on these prospects by Revolution or previous operators at La Bufa. At the newly identified Cazadores prospect, a grab sample of a mineralized structure with copper and silver oxide and sulphide minerals returned 11.3% Cu and 2,170 g/t Ag. At the San Fernando prospect, a chalcopyrite-rich grab sample from the middle of a historic adit assayed 21.9 g/t Au, 14.2 g/t Ag and 5.7% Cu. 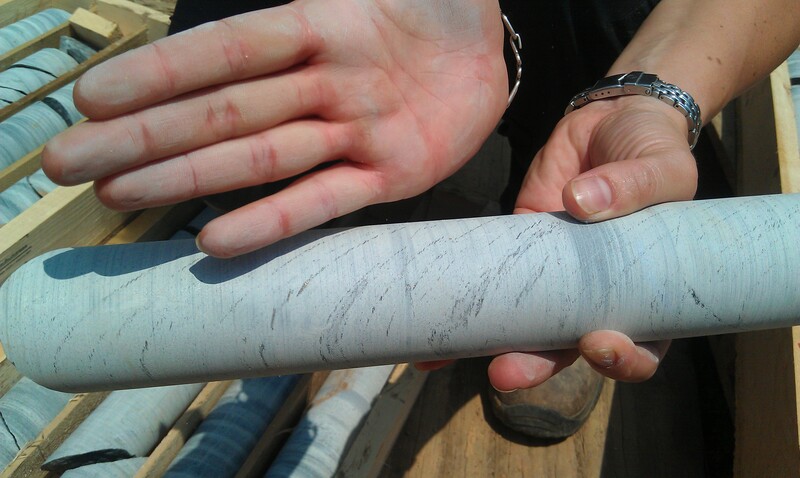 An 80cm long chip channel sample collected on the Golondrina vein returned 10.4 g/t Au, 10.1 g/t Ag and 2.35% Cu. A grab sample collected on a historic mine dump at the Caballero Azteca vein assayed 4.51 g/t Au and 4.6 g/t Ag. In an interview with The Gold Report, Lawrence Roulston talks about the opportunity for quality junior mining companies in the current market environment. In particular, he cites Revolution Resources (OTCQX: RVRCF; TSX: RV) as one with exciting potential. Below please find the entire interview. The Gold Report: Quite a bit has happened on the international economic and geopolitical fronts since you last spoke with The Gold Report in January 2011. In your view, how have these things affected the markets for precious metals and junior resource stocks? Lawrence Roulston: Of course, most people who have invested over the past year have probably suffered some pretty serious losses and may be wondering why they ever got into this business. From where we sit now, I think the worst is over, and I’m very optimistic about what’s coming up in the near term. There was a tremendous amount of uncertainty over the last year with the euro, the dollar and the growing debt levels. Gold and silver, of course, have again become a safe haven for investors who are concerned about all of this uncertainty, reflected in very strong metals prices. Governments both here and in Europe are throwing out trillions of dollars and euros in bailouts to prop up failing companies and countries. Longer term, that’s going to have a tremendous impact through devaluated currencies. That brings us back to gold and silver, not just as safe havens in the near term, but also as long-term hedges against currency devaluation. So that is very positive for the precious metals markets. Revolution Resources Corp ( OTCQX: RVRCF; TSX:RV) announced today that recent drilling at the Champion Hills project in North Carolina continues to define and expand near-surface gold mineralization at the Company’s Loflin and Jones-Keystone deposits. The recently completed drill program focused on defining and expanding recent discoveries made by Revolution at Champion Hills. The Company intends to begin an initial NI 43-101 compliant resource estimate in Q3, 2012. Numerous significant shallow intersections confirm a significant near-surface gold system at Champion Hills (the majority of intercepts occur less than 100 meters below surface). Both Loflin and Jones-Keystone remain open to expansion at depth and along strike. Revolution is in the final stages of completing the Company’s 2012 exploration program and will provide updated guidance in the coming weeks. SAN FRANCISCO – I got to see Aaron Keay of Revolution Resources as part of his swing through California. Aaron, Rob McLeod, Pete Evans and Katie Lucas are developing the Carolinas’ “other” gold prospector in the Slate Belt. The dirt-cheap one. Revolution Resources (OTCQX: RVRCF; TSX: RV) has two things going on right now. They are the Champion Hills district scale play in the slate belt of North Carolina (home to America’s original gold rush) and a recently optioned Universo project in Mexico, located next door to Goldcorp’s Camino Rojo property (4M oz gold and 68.3M oz silver) and on trend with Goldcorp’s mammoth Penasquito Mine (17.8M oz gold and 882M oz silver). Revolution at the top end has CEO Aaron K., Chairman Mike Williams and VP Ex Rob M. the discovery team for Underworld Resources, which is now owned by Kinross. Here is what got me when Aaron (in photo below) presented the RV vitals to a full room in San Francisco: 10,000 meters of Champion Hills drill holes coming in the next 30 days. I am such a hound for fresh assays and the potential for share gains. Revolution Resources (OTCQX: RVRCF; TSX: RV) has appointed Terry Bell to the Company’s Board of Directors. Mr. Bell is a Geologist who has spent the past 24 years as a mining analyst and investment fund manager in Toronto. Mr. Bell specialized in both exploration and development gold and base metal companies. He has financed mining projects in North America and globally. You are currently browsing the archives for the Revolution Resources category.